So, you have already worked on agile software development, or you are just planning to implement it in your projects? If you are reading this blog chances are something is not working well, and you are getting confused with some of the major aspects of agile software development. 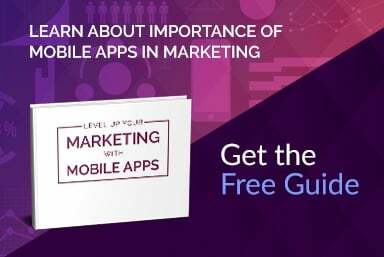 Well, most beginners get confused with this technology as they pick only certain features and try to let a tool manage the development process for them. Though, it's time to go back and look at the agile methodology and understand its significant aspects. Agile Software Development is an umbrella term or a set of various incremental and iterative software development methodologies that include Dynamic Systems Development Method (DSDM), Extreme Programming (XP), Crystal, Lean Development, Scrum, and Feature-Driven Development (FDD). This technology provides a lightweight framework that diminishes the overall risk associated with software development. Agile development has emerged from the real-life project experiences of some well-known software professionals who had encountered difficulties in traditional development technologies. The technology has introduced as a direct solution to the problems associated with traditional software development in terms of both processes and philosophy. With continuous planning and feedback; Agile development stimulates the performance of initial business value while ensuring that workforce is consistently being maximized during the development process. As an outcome of this planning and feedback, the Agile team is able to align the software with specified business requirements. After continuously measuring and evaluating status based on the testing software, you get the final software system that better addresses the client needs and specifications. The below-drawn diagram reveals the differences between agile and traditional software development process. 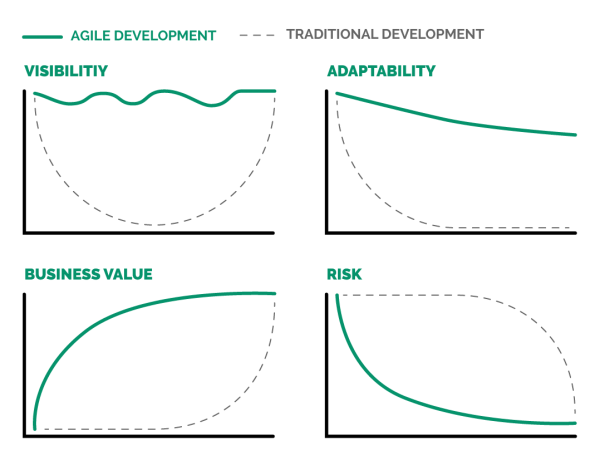 Here, agile development produces improved value & increased visibility while delivering deployable and well-tested software. Scrum is a framework which is used to execute complex development projects. Scrum gives the idea of the completed and yet to be completed tasks. Scrum is adaptable and allows team members to modify according to the project requirements. It is also a powerful visual aid. Scrum has earned high popularity in the agile development community due to its proven productivity, high functionality, and power to act as a great tool for several methods promoted by different agile methodologies. It is a list of tasks or a to-do list which the software development team maintains or reaches. These are necessary pieces to complete the complex task. If one of the features does not contribute to the end goal, it should be removed. In addition, if a task or function becomes crucial to the development, it is typically added to the project backlog. This list of information is the primary authoritative source for agile development team members. It needs to be managed and prioritized by scrum master which must be assigned to the scrum team. 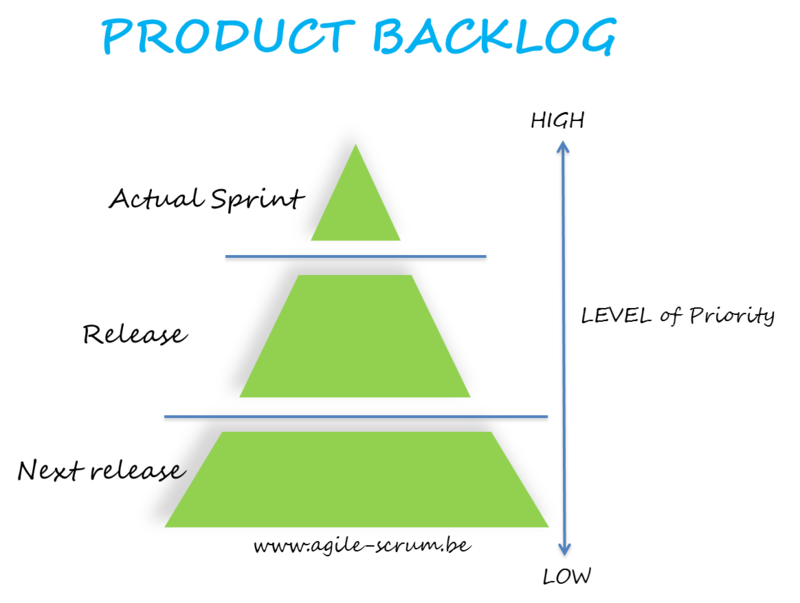 The Product Backlog may consist the bug fixes and other project requirements that need to be done for successfully delivering a deployable software system. Product Owner is the key stakeholder in the project who shares a huge role in software development. The position is visionary as Product Owner gives a vision of the project to his/her development team members, and also creates the backlog. He/she also keeps an eye on the turnaround time of the project. The product owner is usually a lead user or someone from the product management having a solid understanding of agile technology, marketplace, and the future trends for the type of software which is being developed. It is a chart or graphical representation of the work that shows how quickly a team is "burning" through the client’s user stories. A user story is a list of the client's tasks for the software development. With Burndown Chart, a “Product Owner” can work in close cooperation with the team to distinguish and prioritize several tasks in the form of a “Product Backlog”. By making a burndown chart, team members can understand the difference between the completed and remaining tasks. These graphs help keep all of the information together by providing an overview of the project's progression. The charts rarely follow a straight line because the velocity of a team moves at different speeds. 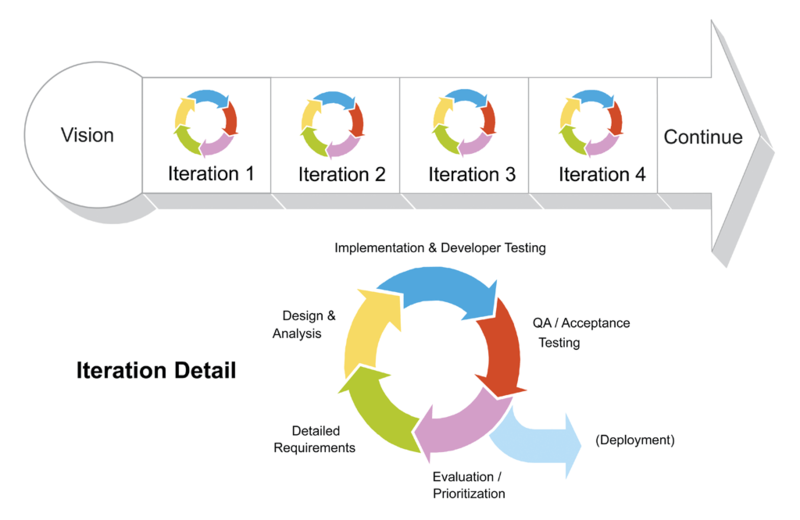 Iteration is used to define the repetitive process which is usually applied to the process where any software is developed in small sections. These small sections are called as Iteration. Each small section is evaluated and reviewed by the development team and possible end-users. It also provides the basic idea of the time duration of the project. 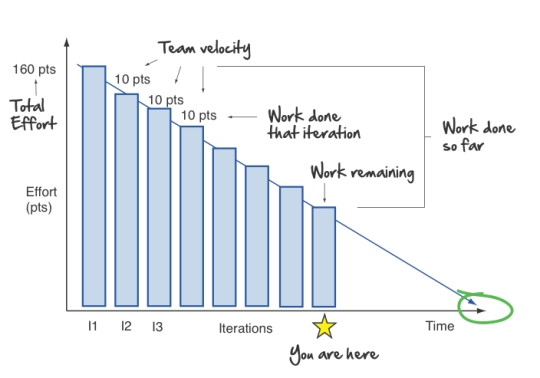 The Insights collected from the analysis of an iteration are used to evaluate the next step of Agile development. In this process, sequence diagrams or data models are used to map out iterations and keep the record of what has been approved or abandoned. However, it serves as the blueprint for the outcome. Agile software development does not only streamline the complex software development projects but also gives a vision to the end before it delivers a successful outcome. If you know the basic fundamentals and methodologies of Agile development, then it is easy to get started and come up with a well-designed software. If you are looking for a reliable software development company to support Your Agile Development efforts, you have landed at the right place. Railwaymen has a highly-professional team of experts who are focused on building highly-functional software for the global clients.